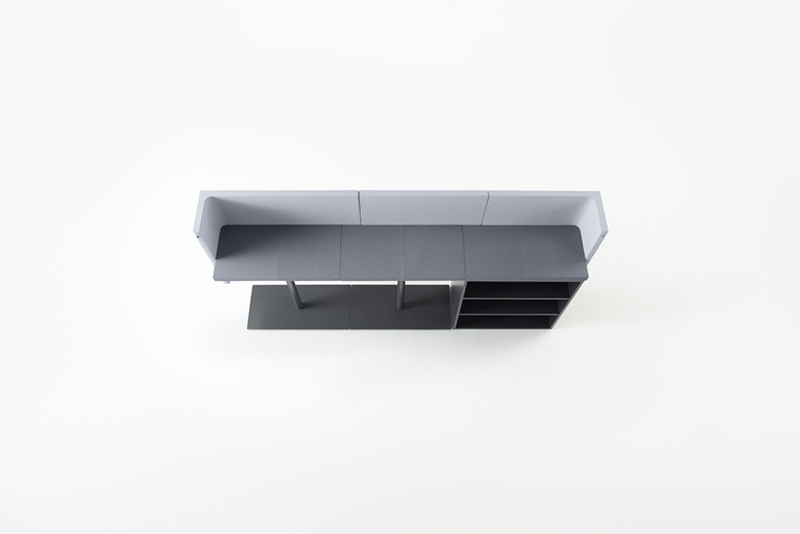 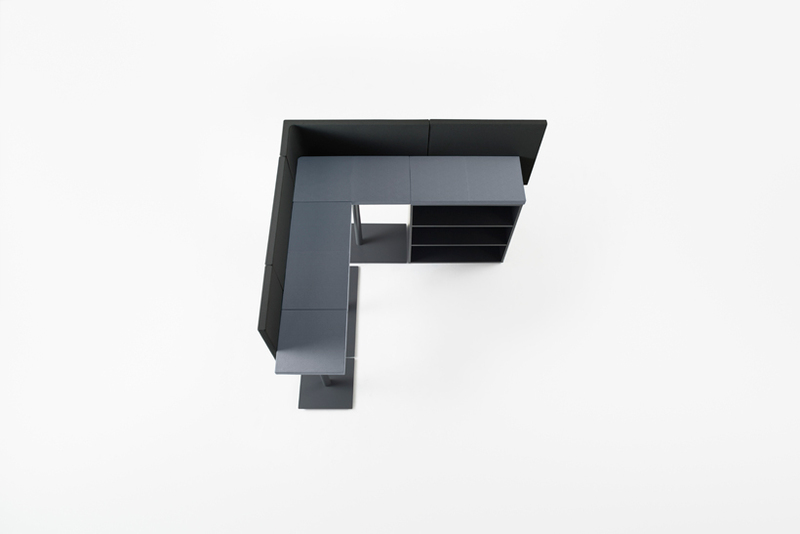 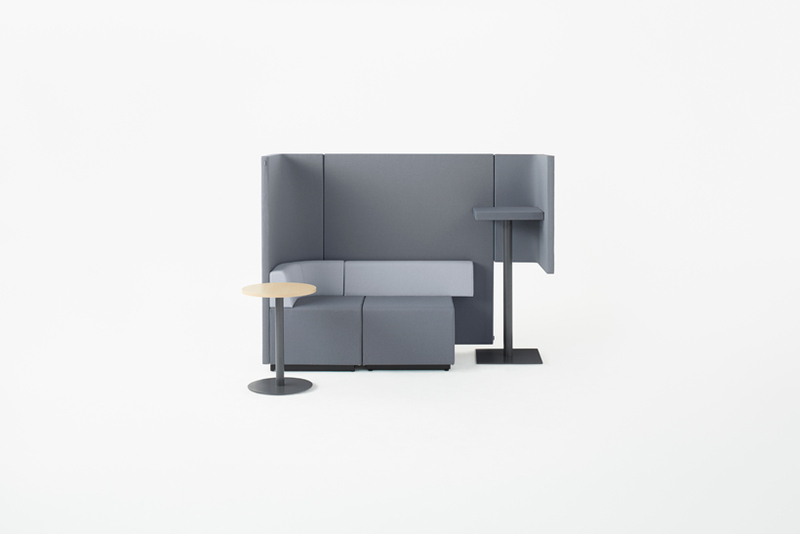 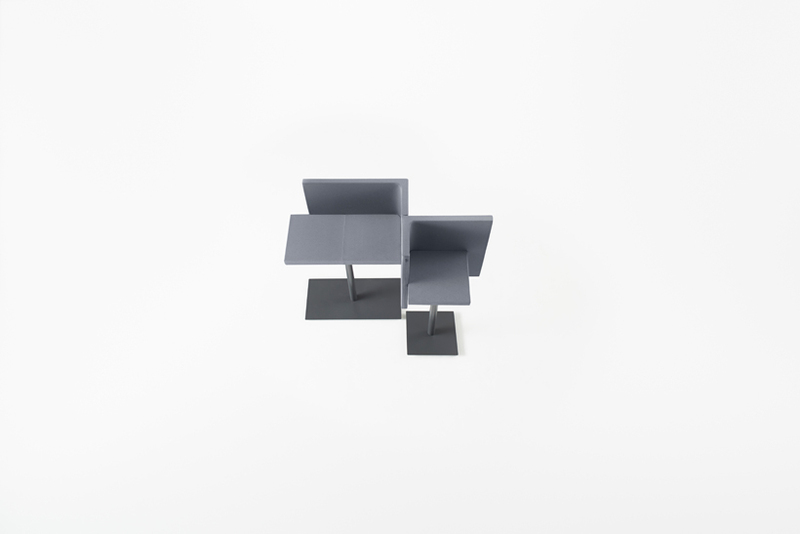 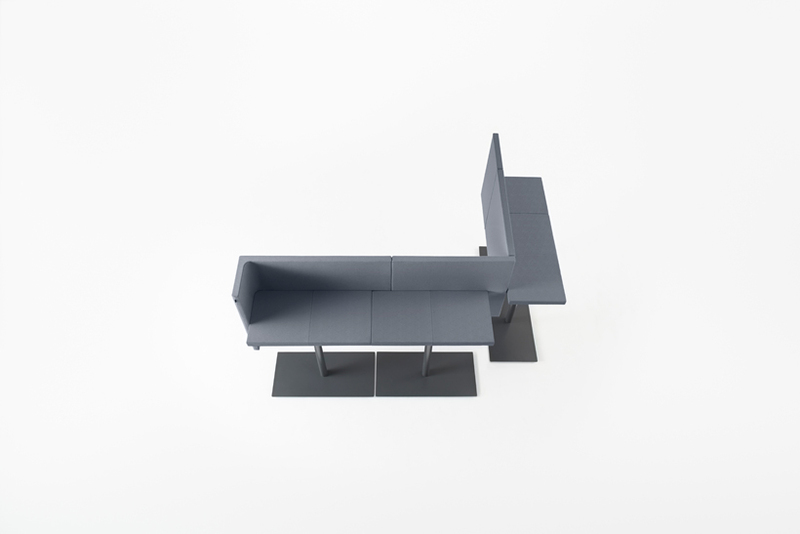 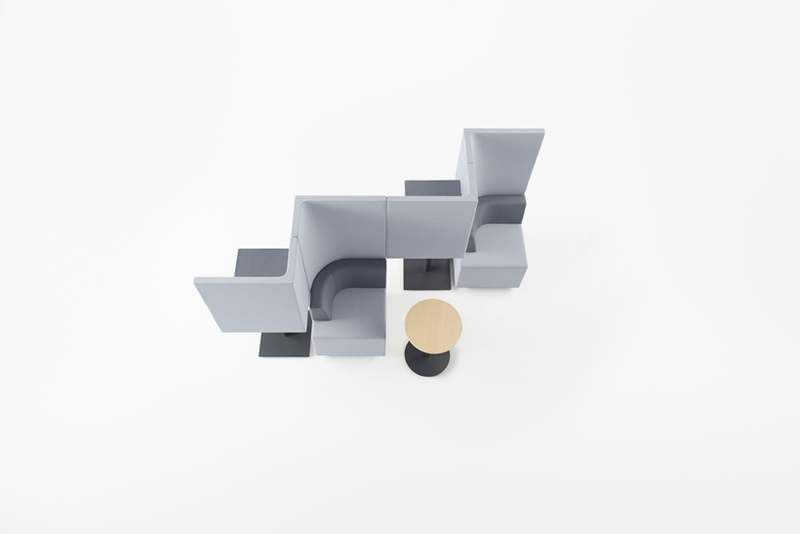 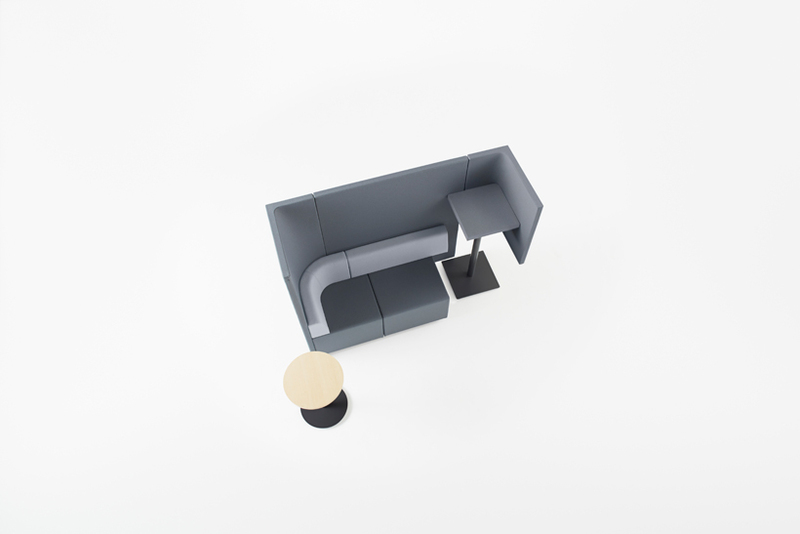 The brackets unit sofa provides a variety of office communication spaces through different combinations of its bracket-shaped units. 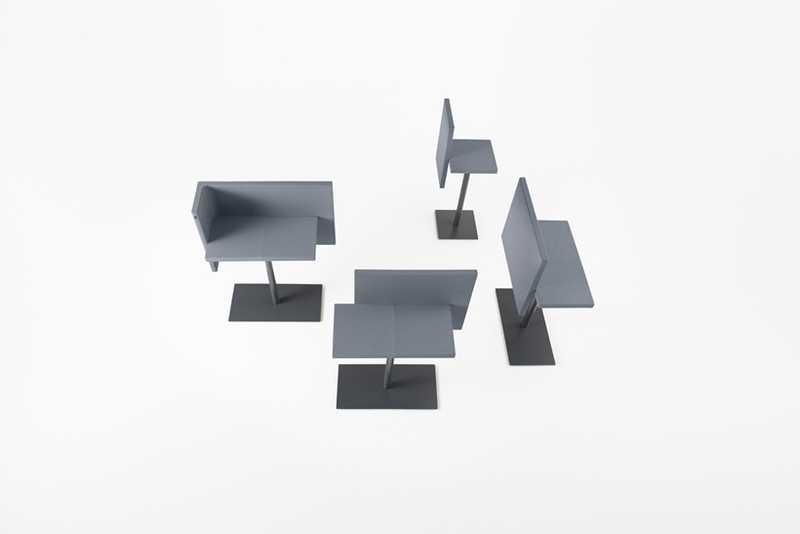 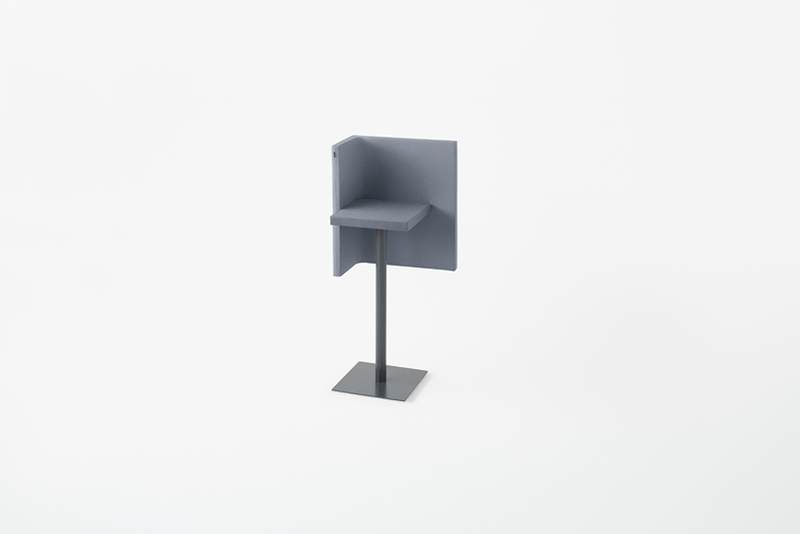 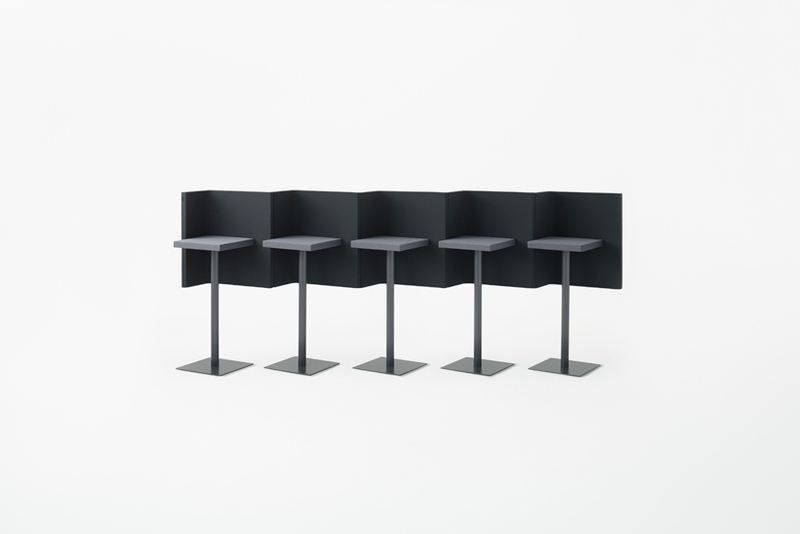 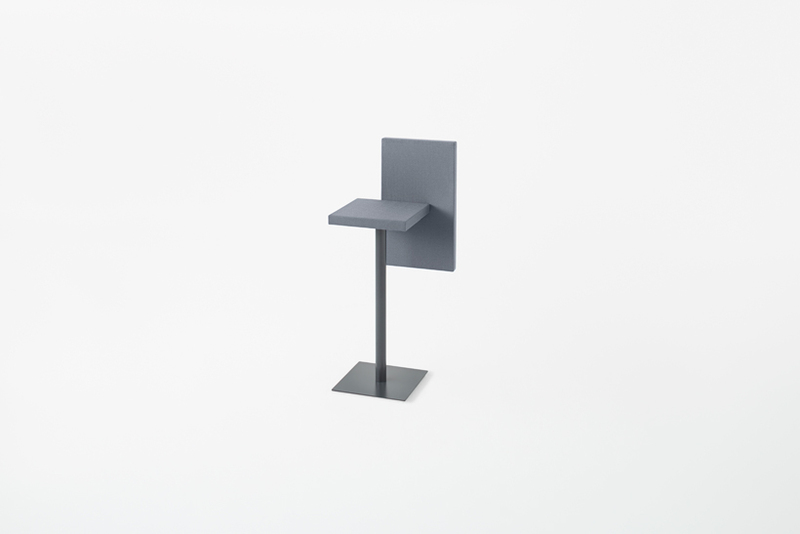 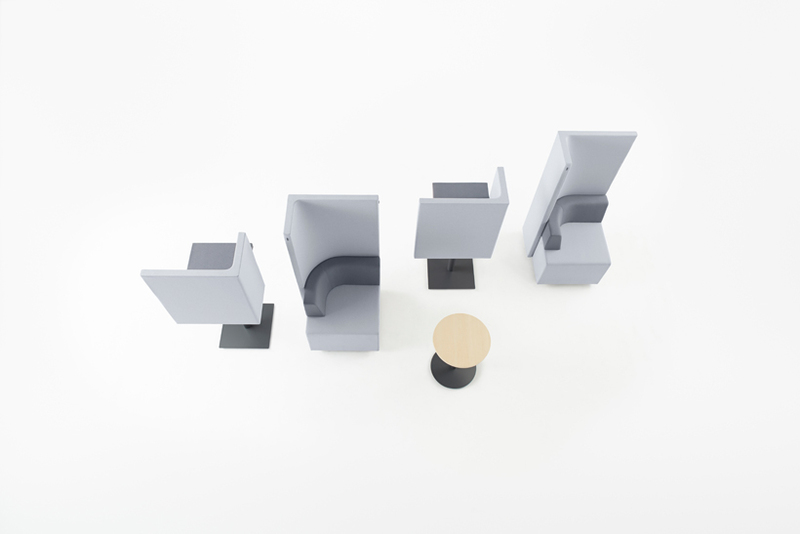 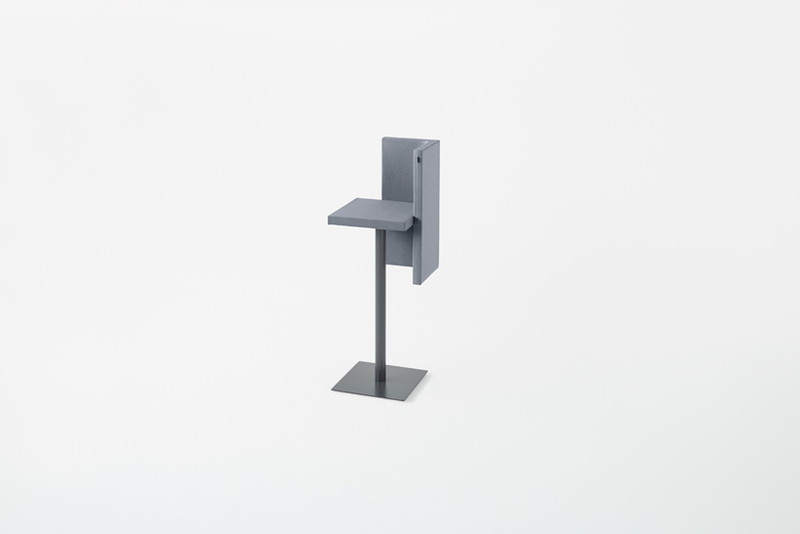 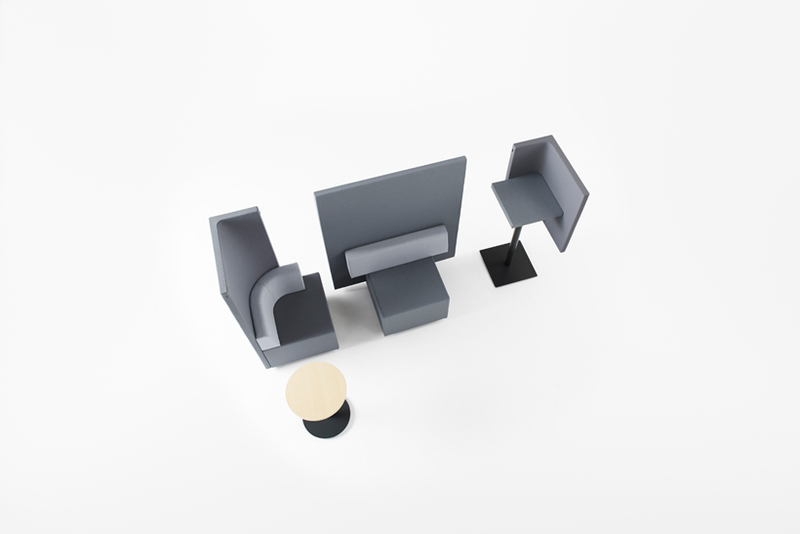 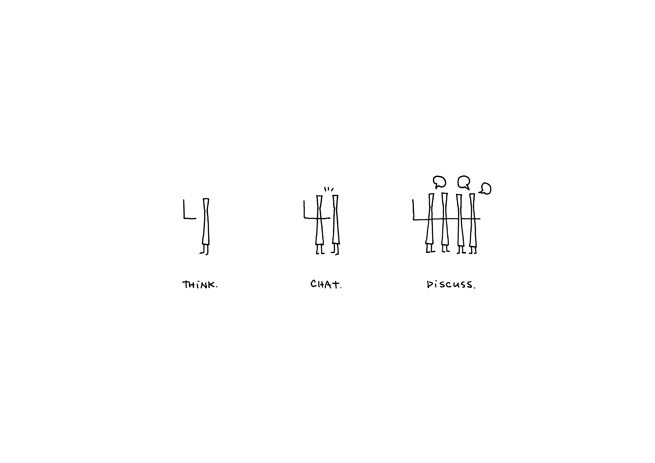 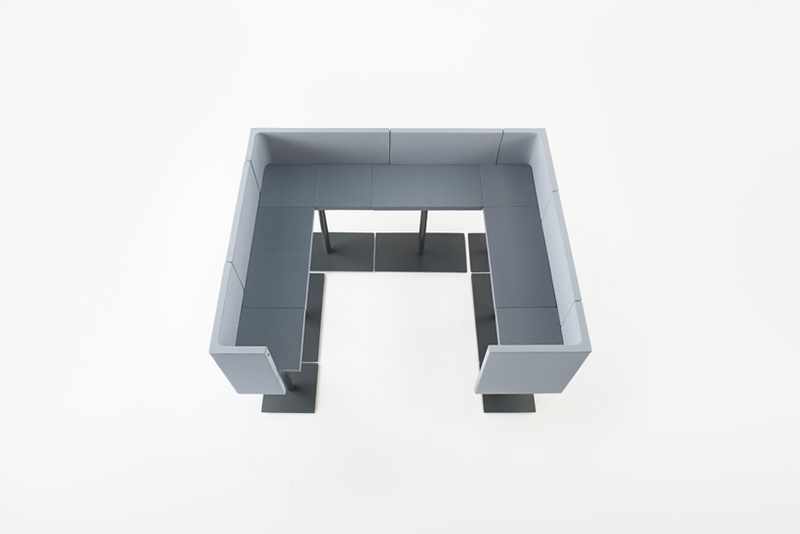 brackets-lite develops the concept further by creating casual spaces for standing conversation. 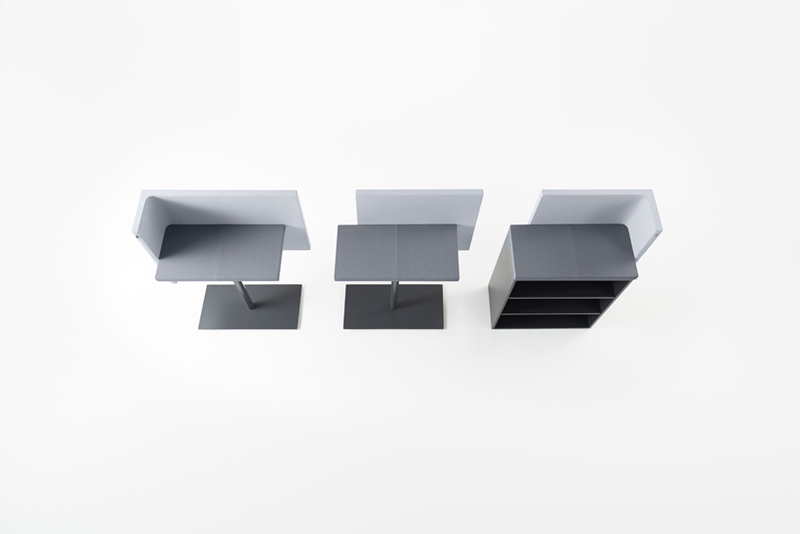 brackets-lite consists of seven different unit types, all with a 1000mm tabletop and 1400mm back panels to so that they combine easily and are compatible with existing brackets units. 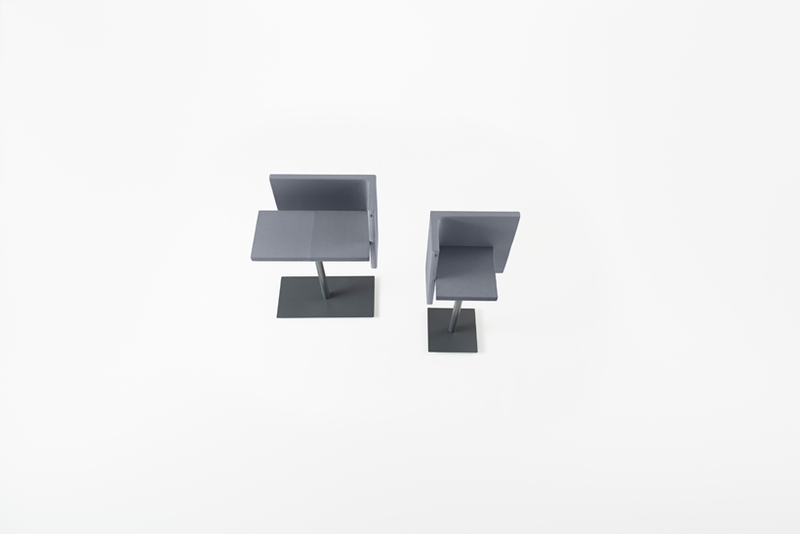 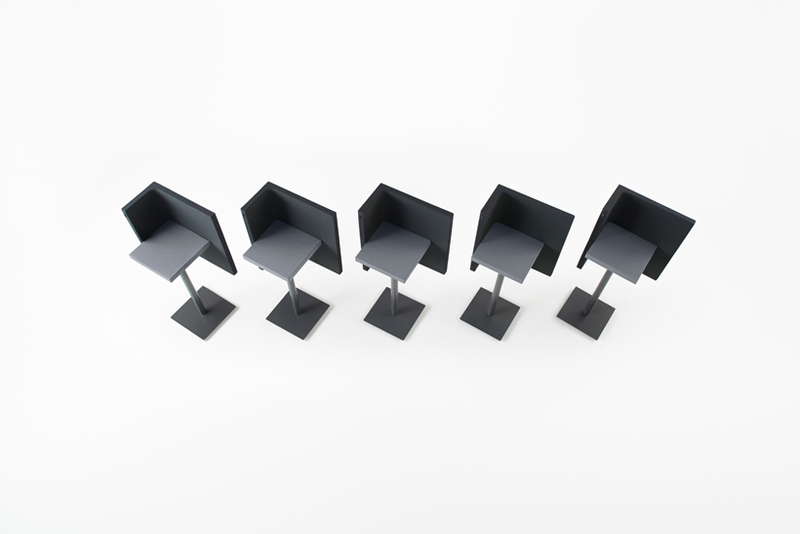 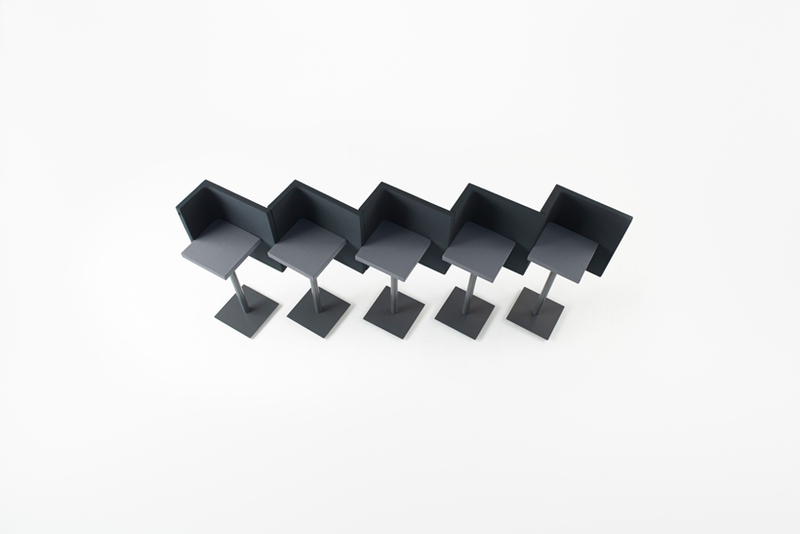 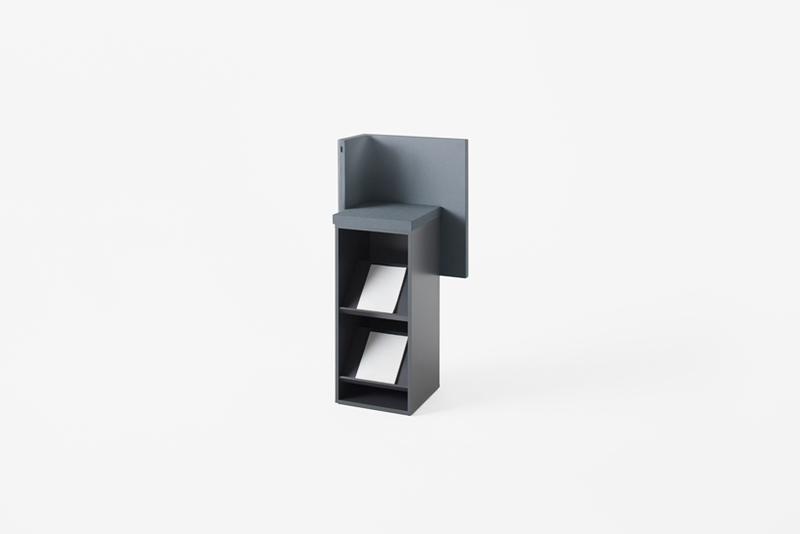 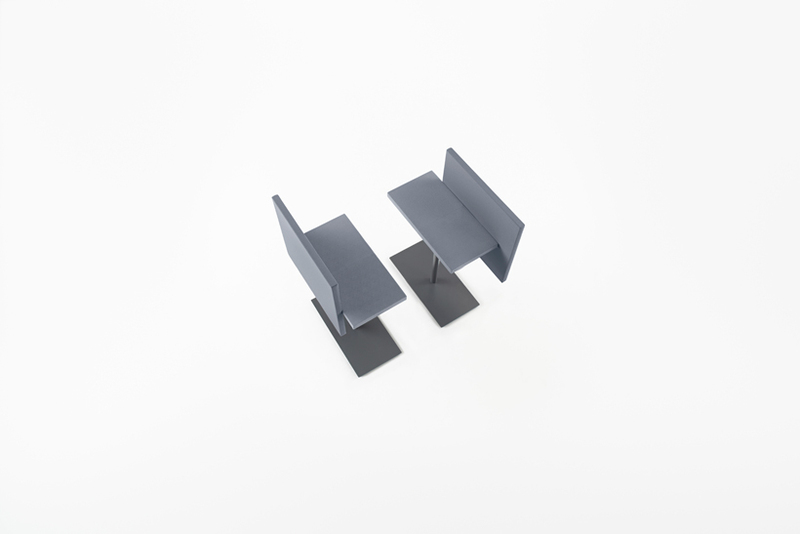 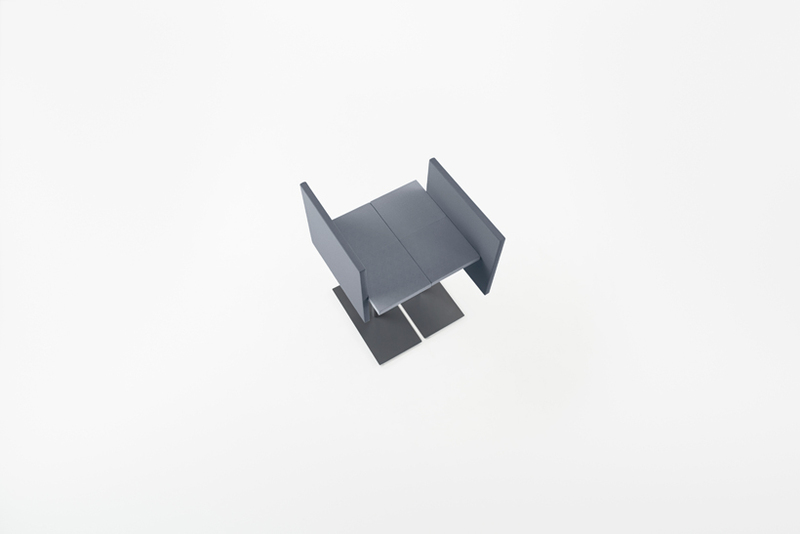 Users can select between ordinary and bookshelf bases, and the bookshelf bases can be flipped 90 degrees to serve as a magazine rack as well. 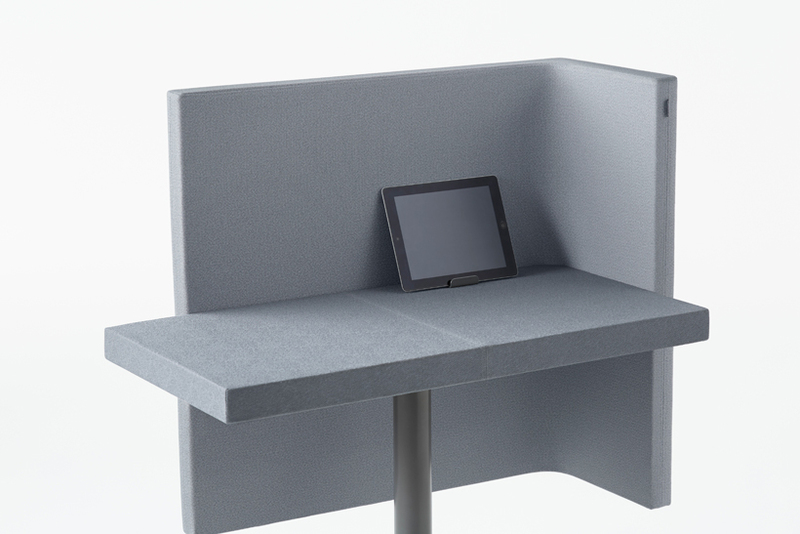 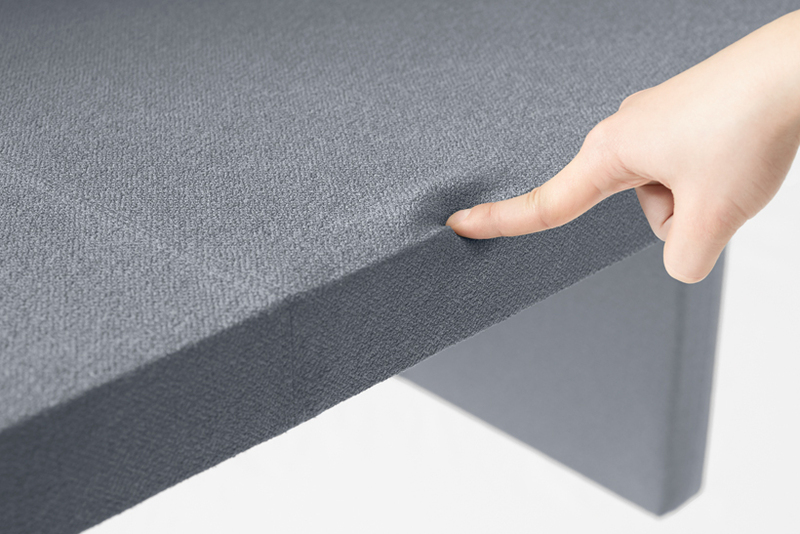 The tabletops are cushioned so that users can lean against them in casual conversation. 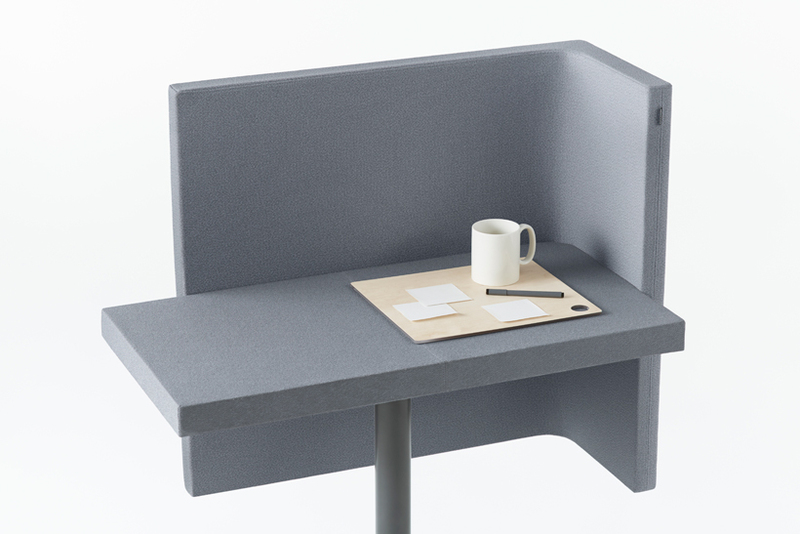 We also designed an attachable tray for writing notes or resting a coffee cup, and the back of the tray serves as a whiteboard. 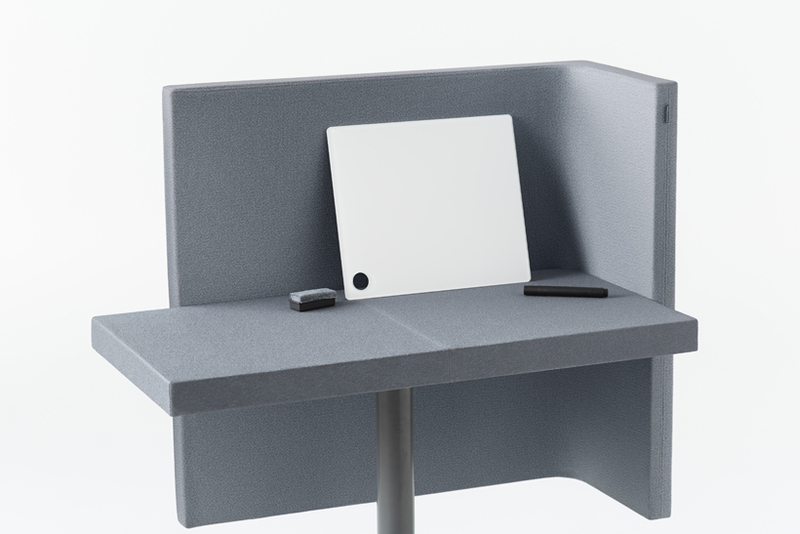 The brackets-lite system enables easy computing: the clip that supports the whiteboard doubles as a tablet computer holder, and the tabletop backs include a power outlet. 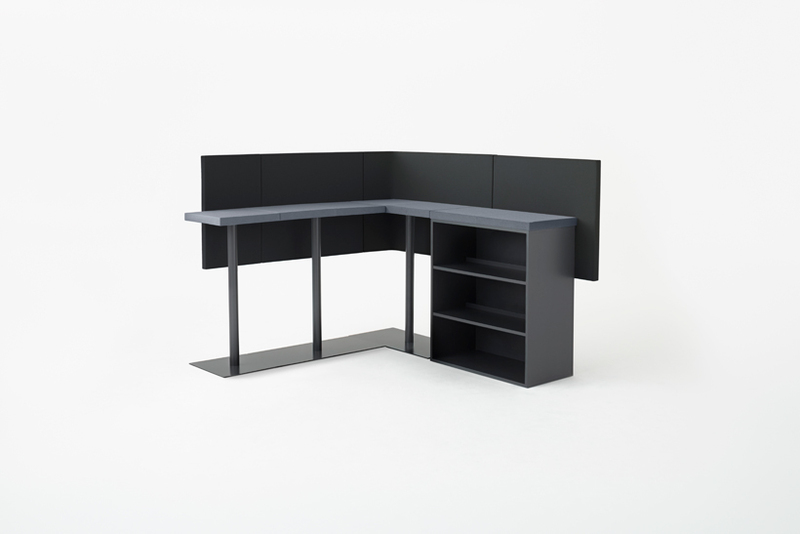 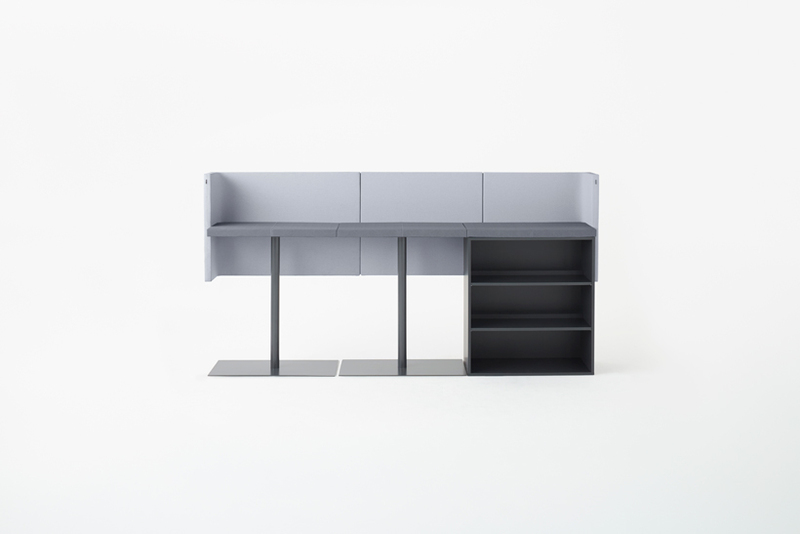 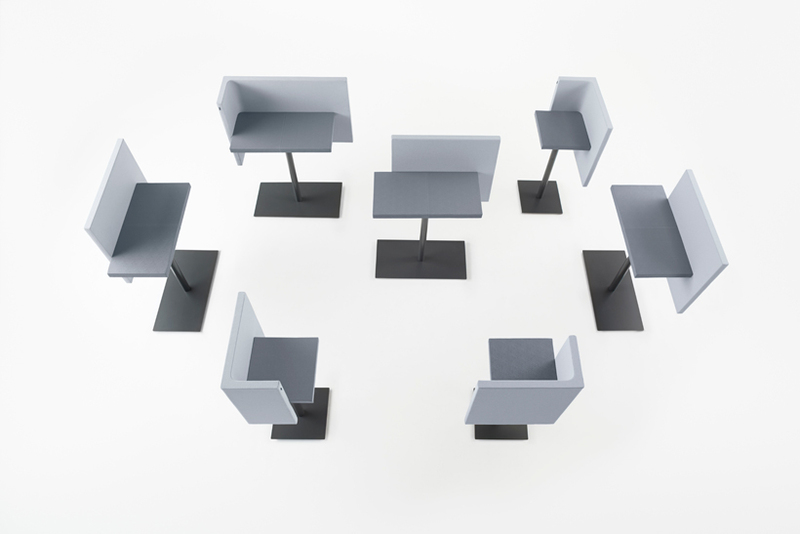 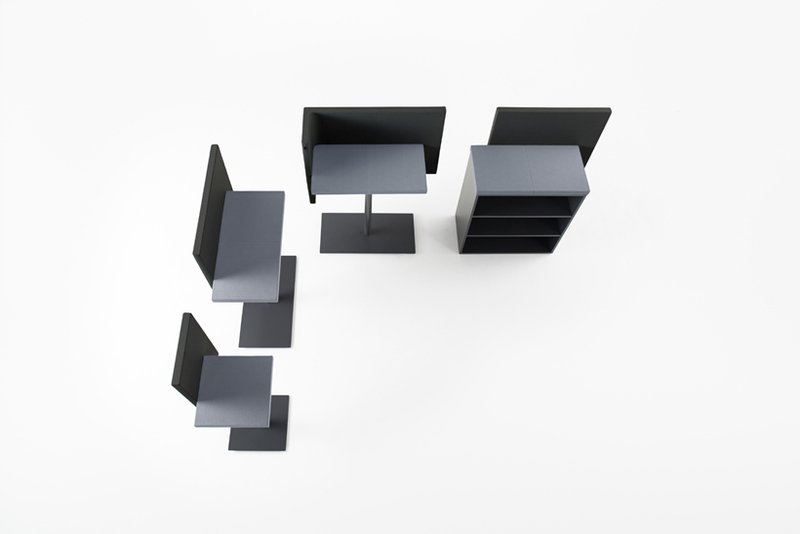 Careful attention to the maximum support for speedy communication in a compact office space produced this constellation of office furniture.